"Compared to George W. Bush and Ronald Reagan, Obama has been more fiscally conservative than any other president in recent history, with the exception of President Bill Clinton." Despite over $5 trillion in new debt created by the 44th president, so hysterically wrote Barbra Streisand at the Huffington Post Tuesday. 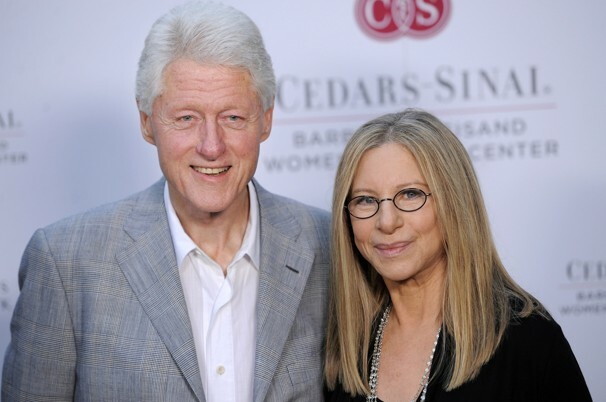 "In this election," Streisand began, "the people of America have to make a choice between two candidates with very different values, visions and solutions to the most pressing problems facing our country. The question voters need to ask themselves when they walk into the voting booth on November 6th is: 'Will the country be better off returning to the policies of George W. Bush's Administration?'" "Like Bush," she continued, "Governor Romney believes we need more tax cuts for the wealthiest 2% and fewer rules for Wall Street. He wants to roll back financial reform and set Wall Street free to write its own rules again." Actually, that sounds a lot like her true love Bill Clinton. In 1997, he signed the Taxpayer Relief Act of that year which lowered the tax rate on capital gains. This bill also increased the exemption on sales of personal residences to $250,000 per person, $500,000 per couple while gradually raising the estate tax exemption to $1 million. All three of these tax cuts disproportionately favored "the weathiest 2%." In addition, Clinton signed the Financial Services Modernization Act of 1999 which removed the last vestiges of Glass Steagall thereby completely deregulation banks, brokerage firms, and insurance companies while the next year signing the Commodity Futures Modernization Act of 2000 removing all regulations on financial derivatives at the heart of the 2008 collapse. I guess Streisand didn't know about any of this as she wrote, "The last President who was elected amidst a severe economic crisis and high unemployment was Franklin D. Roosevelt. His policies strengthened government so that it would protect the people (creating Glass-Steagall to regulate the banks, the FDIC to insure bank depositors, the Securities and Exchange Commission to regulate the stock market, and Social Security to help people build a safety net for their retirement)." So Streisand loves Glass Steagall. If that's the case, why does she also love Bill Clinton who killed it? Probably the same thought process that leads her to believe Obama is fiscally conservative. As I've said for years, it takes a lot of rationalizations to be a liberal these days.